Analysis frequently precedes appraisal, evaluation, or problem solving. When analyzing we are separating into parts, groups or elements. Often a generalization or understanding will emerge from an analysis. When word problems stump students, it is often because they believe they should be able to look at a problem and know what algorithm to apply and quickly answer. What we need to be doing is teaching students to analyze the problem. Bryan can practice his speech four times in an hour. He has set a goal to practice it 30 times before he presents it at the community forum on preserving historical sites. How much time must Bryan set aside in the coming week to meet his 30 practices? 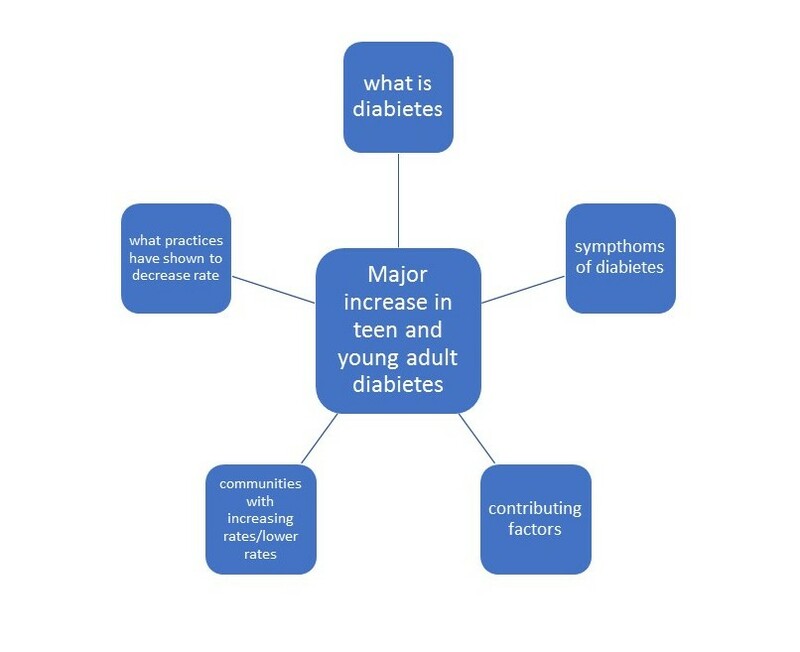 There exists a major increase in teen and young adult diabetes. Again, questions can be used to explore elements of the larger issue. This could be built into a mind map giving a visual representation of the analysis. 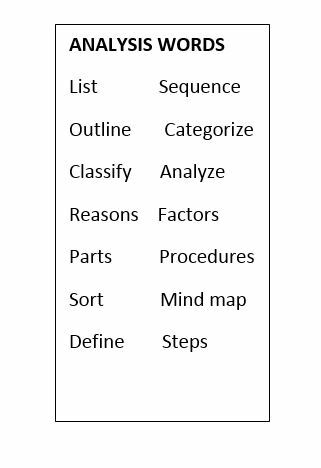 The mind map (analysis) could be used to create a written or oral summary. While initially the teacher might provide the questions to guide the analysis, it’s important for students to develop the skill of creating questions that drive an analysis. Teachers working in PLCs are often doing an analysis as they plan next steps for student learning. If you are facilitating a PLC you might prepare the questions in advance of the meeting to guide the PLC process. Often flow charts support analysis. Sometimes questions might be given in advance of the meeting to maximize the results of limited PLC time. Bring your students’ formative assessments to next PLC sorted into groups: mastered the concept, have not mastered, and “I’m unclear”. We will first plan on reaching consensus on mastery, then decide upon the “unclear,” and then develop next steps for supporting students still working toward mastery. The analysis leads to appraisal, evaluation and problem solving. I think we assume learners will just ask these questions. Making that assumption will not get our students where they need to go! Thanks Steve.